Varicose veins or spider veins are the unsightly blue veins that pop up on the legs when the blood vessel has been damaged. Most cases of varicose veins occur in women and there have been plenty of methods for treating varicose veins that have come and gone over the years. The most common method to treat this condition is surgery. However, natural alternatives to get rid of varicose veins do exist. Medicinal herbs are mostly used in this case to get to the root of the problem, which is poor blood circulation. Any herb intended for treatment should have the property to stimulate the circulatory system and strengthening the veins. It is always a good idea to consult a professional healthcare worker before starting some form of a home treatment plan or self-medication especially when it comes to medicinal herbs. It is advisable to discuss any and all herbs, vitamins, or other medications that one is taking or considering taking with their healthcare practitioner since medicinal herbs can interact with other drugs or even other supplements. That last thing anyone wants to do is to make their varicose veins worse by taking something or doing something that is going to interfere with the body’s natural processes or, let’s say prescription medication. Aescin, the active ingredient, comes from the extract of the dried seeds of the horse chestnut plant. 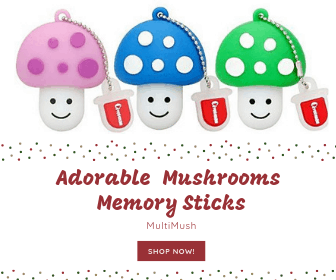 It is said to help strengthen the walls of the blood vessels, prevent veins from softening or bulging, reducing inflammation associated with it and stimulate the regeneration of damaged veins. Horse chestnut was studied on 240 people of whom 25% noticed a marked change in the swelling of the lower legs after taking 50 milligrams of aescin twice a day for a length of 12 weeks. Gingko is one those herbs that seem to work really well for many ailments. Like horse chestnut, it contains active ingredients that help strengthen the tissues of the artery or vein walls. To use this herb to treat varicose veins, some herbalists recommended the dosage of 40 milligrams three times a day. It is one of the more popular herbal treatment for varicose veins and it is widely used and recommended by herbalists as a natural treatment for disorders that involve connective tissue swelling. In a study cited by The University of Maryland Medical Center, 94 people with venous insufficiency, took gotu kola: all reported definite improvements in their symptoms. In a similar study of patients suffering from varicose veins, it was found that there were improvements in the tone of the veins. This was shown through ultrasound examination. The active ingredients in gotu kola are called triterpenoids. Triterpenoids increase antioxidant supply in damaged areas and increase blood flow. Doses are recommended at 60 to 120 milligrams per day as well as using a topical extract of the herb three times a day on the affected areas of the legs. This is a yellow-flowered shrub that has anti-inflammatory and astringent properties. There is some scientific proof that it helps in the natural treatment of varicose veins and an extract of this herb inhibits enzymes in the body that degrade the tissue and building blocks of veins. It also helps ‘beef up’ smaller blood vessels, making them less permeable so that fluid does not leak into the surrounding tissue of the legs. While gotu kola is the generally considered by many herbalists as the best natural remedy for varicose veins, bilberry is also recommended. Bilberries contain high levels of anthocyanin pigments. In a 2006 study by Bell and Gochenaur in the Journal of Applied Physiology, it was found that such anthocyanin pigments have direct vasoactive and vasoprotective properties. Witch hazel is a very cooling astringent that contains tannins and other anti-inflammatory substances. The bark of the tree is used to make the medicinal concoction found on pharmacy shelves and when rubbed on the varicose veins, it is said to help reduce swelling and the appearance of the spider veins. Herbalists recommend grape seed extract for the herbal treatment of varicose veins due to the Procyanidolic oligomers (PCOs) which it contains. Typically a dose of 50-100mg per day may improve the condition of varicose veins. It can take up to three months to see and feel the difference. Grape seed extract also contains many other beneficial compounds including; resveratrol, and polyphenols (especially oligomeric proanthocyanidins). These are recognized antioxidants. A clinical trial conducted by the US National Center for Complementary and Alternative Medicine (NCCAM) found that grape seed extract administered orally over 8 weeks resulted in no detrimental effects, and so is safe for use. Side effects may sometimes occur however and include a dry scalp, dizziness, nausea, and headaches. According to a 2002 study in the Journal of Nutrition grape seed extract can limit platelet adhesion, and so increase the clotting time of blood. 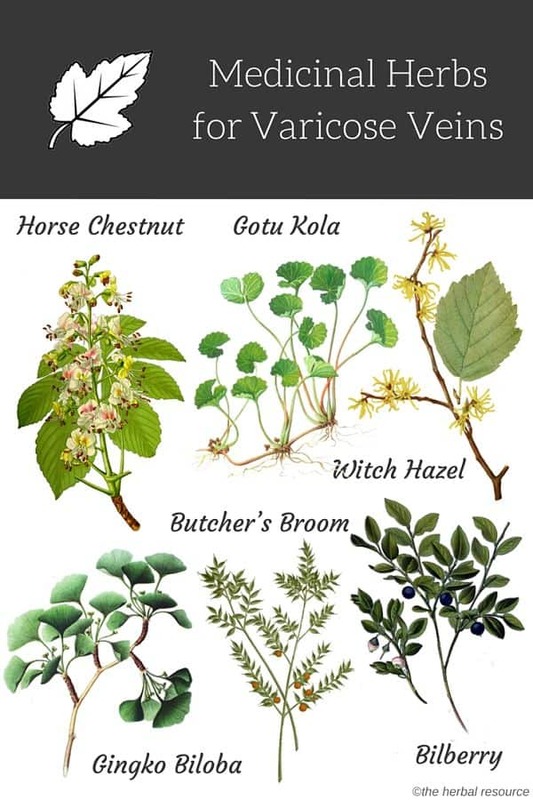 Other natural herbs that have been used for varicose veins treatment. Vitamin K has been shown to be helpful for the treatment for varicose veins. It has been used as an agent to help blood clot, for some time now. When it is applied to the affected area, it reaches the vein through the pores and clots the blood, thereby stopping the seepage of blood. Other options to consider include hydrotherapy, aromatherapy, acupressure, and acupuncture. These methods have been used with some degree of success, although individual results may vary.